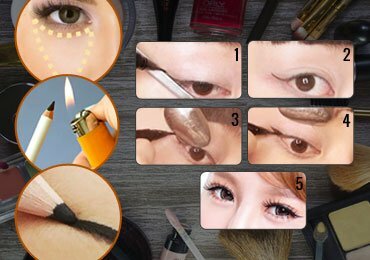 Eyebrow Makeup : Let's See How To Do Eyebrow Makeup! When you see those perfectly shaped eyebrows, do you envy them, and do you wish that you could have them too? Though a lot of people have thick brows, they do not have a perfect shape. Shaping them into a lovely arch requires much more than creativity. Whatever be the eye makeup that you are wearing, the brows can help in enhancing the look, and be making a real difference to it. So, you should keep them groomed and shapely, and use the right eyebrow makeup, so that your overall eye makeup looks dazzling. How To Shape Eyebrows With Makeup? The most important thing is to identify the starting point for the brow. Take a brow pencil, and place it in a vertical line from the tip of your nostril. That will give you the exact starting point from where you can draw the brows. Start giving a shape to the eyebrow from that point onwards. Now that you have identified the starting point, the next step is to figure out the ending point for the brow. You should know exactly where your brow should stop. For this, you need to hold your brow pencil diagonally from the tip of the nostril till the temples. Mark the place where the pencil goes past the eye, and this is the point that your eyebrows should end. Note: In case you have hair strands beyond the line that you have formed with pencil, shave that hair off. And, if there is some gap between the endpoints and the actual growth of hair on your eyebrows, try to fill that tactfully, for getting the perfect brows. Forgetting that perfect arch, hold the pencil’s tip vertically on the nostril. While you are keeping the pencil’s end lined against the tip of the nostril, move the upper portion of the pencil to the mid-center of the eye. When you see the pencil hitting the brow line, that point becomes the natural arch of the brow and should give you the perfect outline to do the brow makeup. With the outline in place, you can start designing your brow and get a good arching brow. You should also take note of the fact that the brows should be leveled. This will make it look more natural. Make sure that the brows are not too slanted, otherwise, it will make you look like some drag queen. And, that will spoil the entire eye makeup. Now that you have got the perfect shape for the brows, the next step is to choose the right color for the eyes. Ensure that the powder and the pencil is not too dark in color. 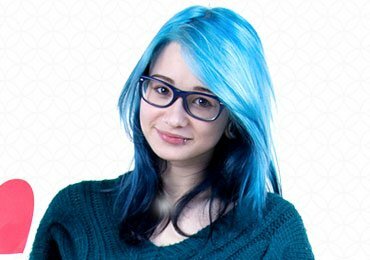 The best option is to use a color that is 2 shades lighter than the hair color if the color of your hair is dark, and 2 shades darker than the hair color, if the color of the hair is light. Clean your face, and remove all the moisture from the face. Take an eyebrow comb and comb the brows. Remove any extra hair that you find grazing around. This is the most important step, as you should know the shape of the brows. Now that you have the ground ready, you can pick up any of the following things for filling up the brows – eyeshadow/brow pencil, brow gel, or a mix of all. This tutorial will be talking about a mix of eyeshadow and pencil. A pencil is an easier option as it makes the entire process quite effortless. The powder is useful for adding polish and gives the brows a natural finish. The next step is to fill the brow with a good eyebrow pencil, starting from the middle of the beginning. The beginning point of the brow might have sparse hair, so be careful while filling that place in. If you fill it up too much, it will give you an unnatural look. So, go by the natural shape of the brows, and try not to create a shape, which is completely unreal and different. Use short and gentle strokes for filling eyebrows. While filling up the eyebrow, make sure that you are filling the entire length of it. Ensure that you do not go overboard while filling it. Trace on the natural shape of the brow, and thicken it. This will intensify the natural shape of the brow. When you give strokes on the brows with a pencil, they might look patchy. 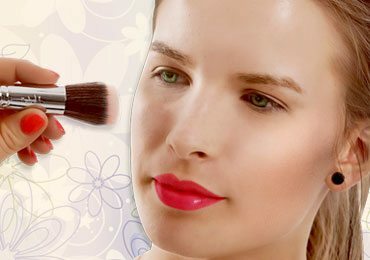 So, you should use the powder along so that it gives you that perfect finish. Use the brow powder for giving that finishing touch. And, in case, you do not have the powder, you can also use matte eyeshadow for giving that effect. But, remember that you should not use shades which are too dark, as it might mess up the look. Use a smudge brush or angled brush for that. To give more definition to the brows, you can choose to use foundation or concealer. The color should be slightly lighter than the skin tone. Apply them on the lower and upper bone of the brow, for giving it a neat look. Finally, use eyebrow gel for giving it the finishing touch. This will keep the makeup in place, and will also let the eyebrow hair get set properly. Congratulations, you have completed the tutorial, and you would have filled your brows successfully, as well. They will look thick, defined, full and polished, and the best of all, they will still look completely natural. You only need to fill them in properly for giving them that amazing look. Why Is Eyebrow Makeup So Essential? Though we spend a good amount of time in getting the eyebrows shaped exactly the way we want, we always feel unsatisfied with what we have got, and the end result that we have achieved. Eyebrows are the frames for our beautiful eyes, and they need to be perfect, to enhance the beauty of the eyes. Having sparse eyebrows might be quite upsetting, but there are many other ways by which you can recapture the look of the dying brows. 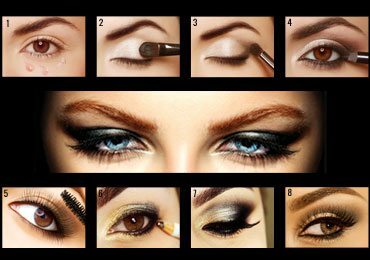 Using the makeup for eyebrows, you would be on your way to mesmerize the world with your lovely eyes. Once your eyebrows are placed properly, you can draw them and achieve that natural look. It only requires a little bit of practice, and you would have become an expert within no time. 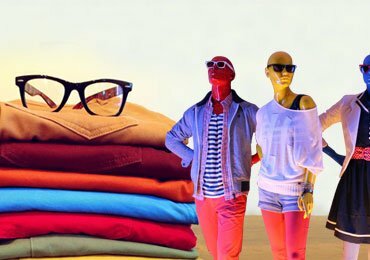 You can try experimenting on them, till you feel satisfied with achieving that perfect look. With eyebrow stencils, you would be able to draw a perfect arch and shape, while recreating the brows. With stencils, you would get completely flawless and symmetrical brows. There are various options available, including the peel and stick option, which will allow you to peel the stencil and position them in the place where you need the brow. Then, using eyebrow pencil and powder, you would be able to fill it inside the stencil. There are various options available for eyebrow pencil. The indelible one does not need to be sharpened. The brush on the tip can be used for softening the brow lines that are created, or for taming the existing brows. The eyebrow makeup cannot be completed without an eyebrow pencil. The next essential tool for doing eyebrow makeup is the eyebrow powder. There are a variety of colours to choose from, and these can be used for recreating the brow. These can be used alone or can be used in combination with the brow pencil, for giving that additional dimension. The eyebrow kit is a complete kit, which will include everything that you would need for doing makeup. It will include eyebrow brush, eyebrow powder, eyebrow stencils and gel. The gel will help in sealing the brows after applying the eyebrow makeup. The kit is an essential thing that should be owned by each lady. Guess what, if you do not wish to draw eyebrows every time, there is another cool and easy option available. You could choose to go for eyebrow tattoos. These are a rage now. These are semi-permanent and can be transferred easily from the printed paper on the skin around the eyes, in just 1 minute, using a wet cloth. These are waterproof, and can easily last for about 2 to 3 days. 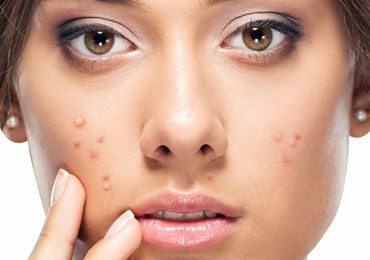 These can be removed with baby oil or makeup pads. There are lots of pros and cons for applying tattoos. These are economical and easy to apply. They are non-toxic, as they are made of vegetable dye. But, the length of the brows will vary for each person. And, it will fluctuate based on hormone levels, body temperature, etc. Eyebrow makeup is a very critical aspect of facial makeup. The eye makeup will not be complete without doing the makeup on the brows. It is an invaluable tool, as it allows you to alter the brows so that it can flatter your face. It is also used for making the false eyebrows look realistic. So, go ahead and give your brows that perfect arch. Everyone would be raving about it. 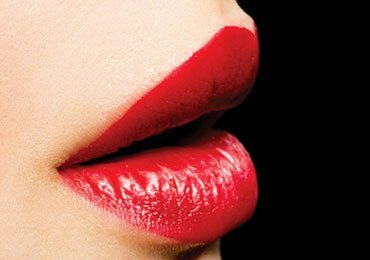 Learn How To Apply Lipstick Step by Step? 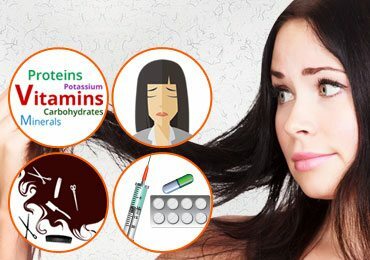 How Can Rice Help In Health and Beauty Care? 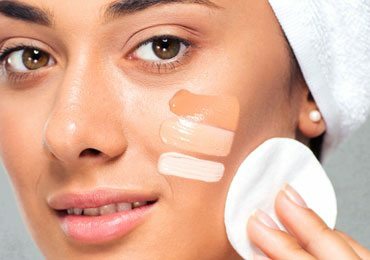 How to Apply Bronzer : Step By Step Instructions for You!